Three steps forward. No steps back. The Invisalign treatment process is as straightforward as it is advanced. 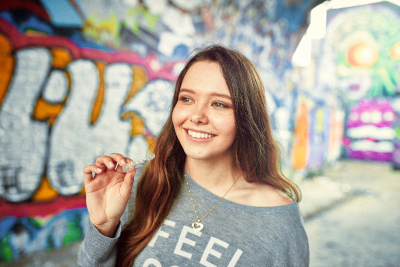 Once your Invisalign Provider has confirmed you’re eligible for treatment, they will take photos, X-rays and digital scans, or a dental impression, of your teeth. These records will be used to create a ClinCheck® 3D treatment plan, just for you. 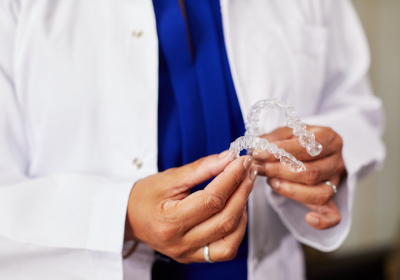 After being custom-made and shipped to your Provider’s office, you’ll receive a series of aligners to wear every day and change at home – on average every 1-2 weeks. 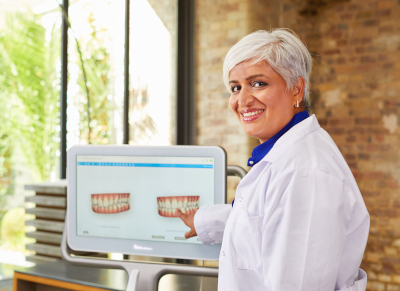 You’ll visit your Provider around every 6-8 weeks to monitor progress and receive new aligners. After finishing your treatment plan, retainers will be required to maintain your new smile. What if you stopped wondering ‘what if’?